Just to keep posts going, the main rockery is starting to look more colourful. Maybe lucky I didn't paint that wall purple, would have clashed! a gorgeous display ~ and the wall colour is perfect! 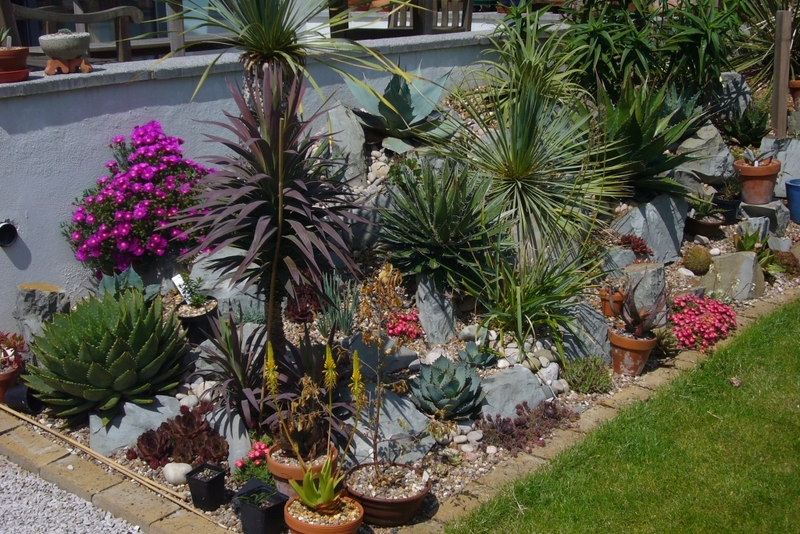 Brilliant display Chris, looking full and those flowering succulents are dazzling. Thanks Wayne, I thought you would like the colour. Already starting to get a little crowded in there? The plants look happy. That angle probably makes it look more crowded than it actually is, but I have removed a couple of plants with at least one more to go and nothing new will be added.